John Walton was born in London, England in 1801. In 1825 he married Mary Ann Dark, and they arrived in Sydney in 1827. Mary Ann Walton (nee Dark) died on 18 February 1848, aged 38 years. Walton then married Elizabeth McIntyre on 20 Augugust 1849 at St Andrews Presbyterian Church, Sydney. There were ten children by his second marriage. He died at Bay Street, Glebe on 13 November 1871, aged 70 years. His wife Elizabeth remarrried in 1875 to Thomas McCarthy; she died in 1904. Walton was licensee of the Captain Piper Hotel and the Three Jolly Fishermen Hotel, both in George Street, Sydney, between 1834 and 1837. He was described as a fellmonger when he moved to Glebe in about 1844, and living on Bishopgate estate in 1847, he called himself a dealer in skins and tallow. 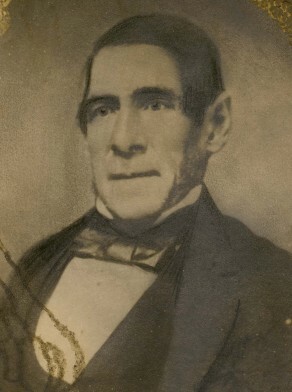 Thereafter John Walton was variously described as fellmonger and tanner (in the 1850s), the publican of the University Hotel in 1858-59, a woolbroker and corn dealer, and a grocer on Glebe Road in 1863. The Glebe Tavern, the suburb’s first pub, opened its doors for trading in 1844. The only two places where working people could go in their spare time in a village society was the chapel or pub. In Glebe the number of pubs grew from four in 1851 to 13 by 1858. The University Hotel, with its long room a major meeting place in Glebe, gave Walton a platform for a seat on Council. His son Robert was publican of the Australian Youth Hotel, also in Glebe. A series of blocks of rusticated stone buildings at Glebe Island Abattoirs, designed by Colonial Architect Edmund Blacket were completed by 1854. The two main abattoir blocks acted as a magnet for boiling down works, tanneries and other industries associated with processing animal hides and carcasses. The abattoir was in close proximity to the workshop where John Walton was a dealer in skins and tallow.